A step-by-step guide on how to use and take advantage of the properties of each of these four products. The beU Skincare product line brings all the ingredients for your skin to recover its natural glow. But to achieve these anti-aging benefits, it’s important you know how to apply the products correctly. That’s why today we assembled a step-by-step guide on how to use and take advantage of the properties of each of these four products. Start our daily skincare routine by cleansing your skin. 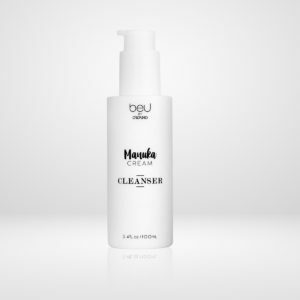 Use the Cleanser twice a day to remove impurities, dead skin cells, makeup, dust, and other pollutants that might have accumulated in your skin throughout the day. upward and outward strokes. 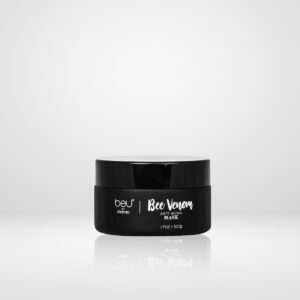 Remove with a dampened face cloth to leave a silky finish on your skin. This luxurious mask stimulates the production of collagen and elastin to minimize the appearance of fine lines and wrinkles. Apply the Anti Aging mask on face and neck without blending. Leave on for 20 minutes, or overnight, and wipe off with a damp cloth. Don’t be concerned if you feel some tingling, this feeling is totally normal. Don’t worry either if you don’t feel anything; the magic ingredient works different on every skin. This mask isn’t for daily use, but you can apply it 2-3 times a week. Continue pampering your skin with a powerful moisturizer, made with the best hydrating oils from nature. 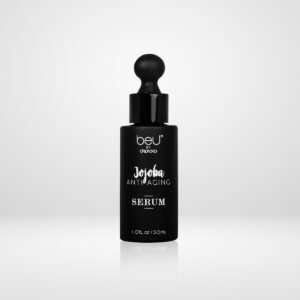 Apply 2 to 3 drops of the Jojoba Anti aging Serum and blend well into the skin using your fingertips. Allow the serum to absorb deeply into the skin before proceeding to the next step. Thanks to its hydrating properties, you can also massage this serum in your cuticles to maintain strong, healthy nails, or rub it on the ends of your hair to prevent split ends. 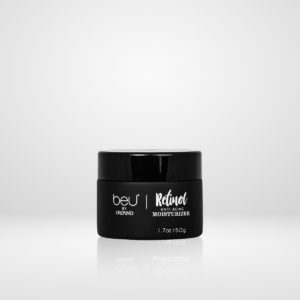 Last but not least, finish your regime with the Retinol Anti Aging Moisturizer. 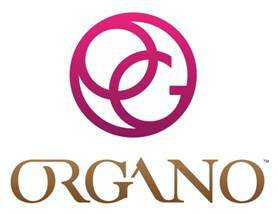 Apply, blend, and let your skin absorb the natural ingredients that will soften and improve the appearance of your skin. Use twice a day. When applying this routine in the morning, be sure to apply some UV protection to keep the sun from damaging your skin. Finally, to keep your products working at their finest, keep them away from direct sunlight and store them in a cool place. Are you ready to try all the nourishing, anti-aging properties of your beU Skincare set?